Preheat oven to 400F and spray a baking sheet with olive oil. 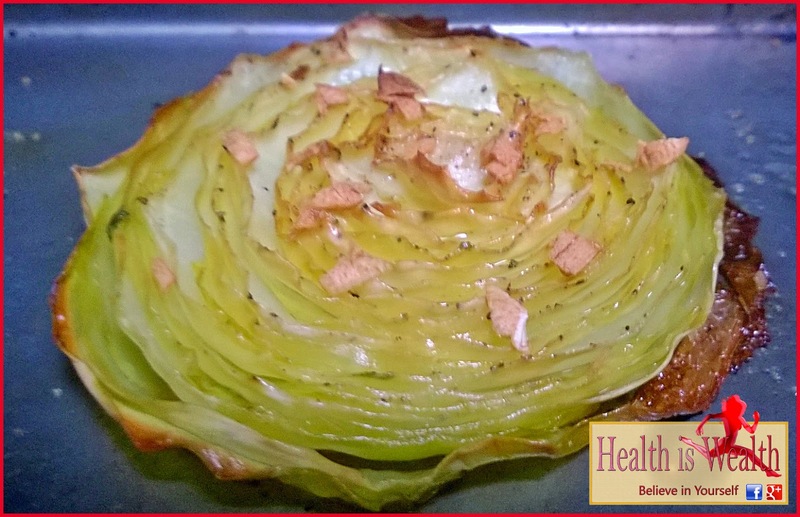 Pull outer leaf off cabbage, cut cabbage from top to bottom into 1″ thick slices. Sprinkle garlic powder and rub both sides of cabbage with chopped garlic. 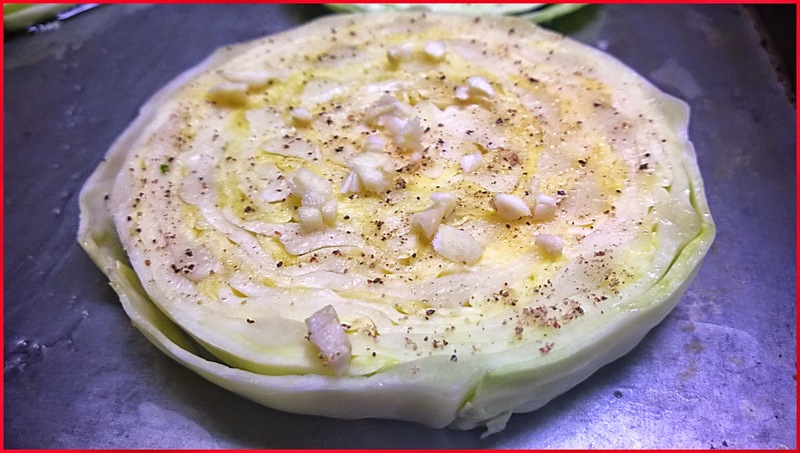 With a pastry brush to evenly spread the olive oil over both sides of the cabbage slices. Sprinkle each side with a bit of salt and black pepper. Roast on the middle rack for 30 minutes. 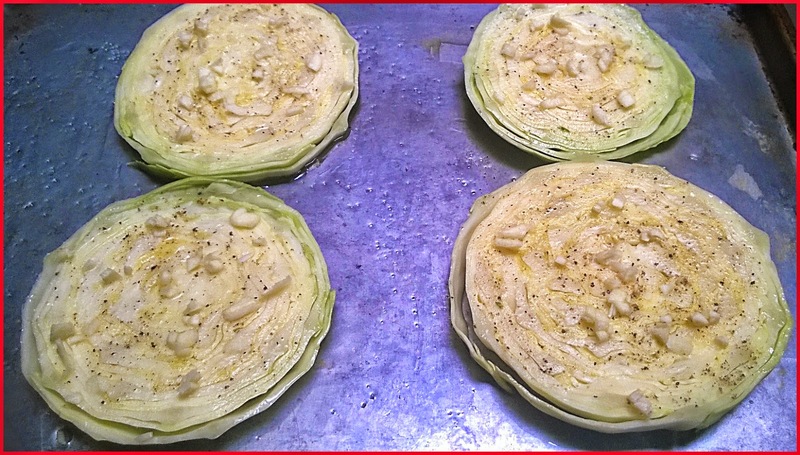 Carefully flip the cabbage steaks and roast for an additional 30 minutes until edges are brown and crispy. Serve hot and Enjoy! Did you mean to bake it for an hour, 30 mins on each side? Is that a typo? I did 12 mins on each side.